Becoming multilingual involves learning more than several languages. Children also need to learn about the rules for using these languages: when to use what language, who speaks what, what to speak with each person if they speak more than one, etc. Yes, it is a tough job becoming multilingual. 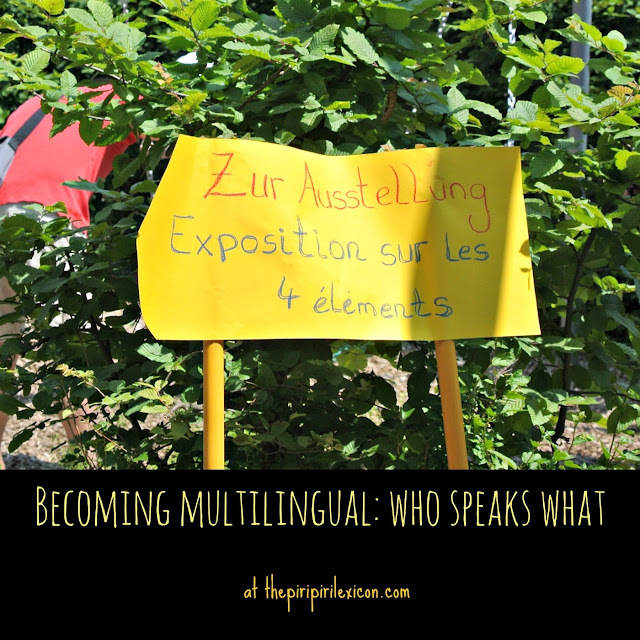 This aspect of becoming a multilingual is as important as just learning the languages themselves, in my opinion. And it is one we can easily forget about. Yet, I feel young children may need help and reinforcement from adults to attain this important pragmatic skill. Studies have found that children can differentiate between languages from as early as 2 years old (Genessee, Nicoladis & Paradis, 1995). At this age, they obviously do not know what a language is or maybe still struggle with the fact that they are learning two distinct languages but they understand that, for example, mummy says 'duck' and daddy says 'pato'. Around the same age (2 to 3 years old) multilingual children start to want to categorise people according to their language knowledge. Just like toddlers attempt to categorise everything in their life and impose their vision of things (ah, the terrible twos), multilingual toddlers apply this to language. This is where they may say things like: "X speaks like Mummy". These are very important peieces of information to a multilingual. And these should be encouraged, explained and facilitated by the adults around them. It helps multilinguals become more aware of who everybody is and shape their view of the world. "E is 4 and O is 8 years old. They will come and play with you. They will share your room. They love riding their bikes. And they speak English like Maman and Papa when they speak together. They say 'hello' and 'how are you'." She quickly added: "and like me"! LJ is quite shy a definite introvert personality coming through. And we feel this is a barrier she doesn't have to worry about as we have already explained who speaks what. She now likes to know who speaks what and will often ask us spontaneously. A consequence of this categorisation, I feel, is that she is uncomfortable with people who constantly switch language when addressing her (apart from her dad). A few people we know, who are themselves multilinguals, address her in a different language each time they see her or even during a conversation. This means that she never knows what language to address them in and reinforces her shyness towards them. She will more often go towards someone new but who sticks to one language than someone she has met before but who keeps switching from one to another. We have many examples of this situation happening. It may be that her language maturity is not sufficient yet to say: "hey, you said you speak German, so let's stick to that!". Part of it may also be due to linguistic immaturity where she may not have the required vocabulary and knowledge in that language to respond. But this is not the only reason as it also happens with French (which is still her dominant language). She will sometimes switch language with children she knows speak German and French. As she attends a bilingual kindergarten, she knows a lot of the children there speak both languages and she will address them in either language and often switch or mix with both. I feel these children have been put in this 'bilingual box' and they are allowed, in her mind, to switch with her and her with them. 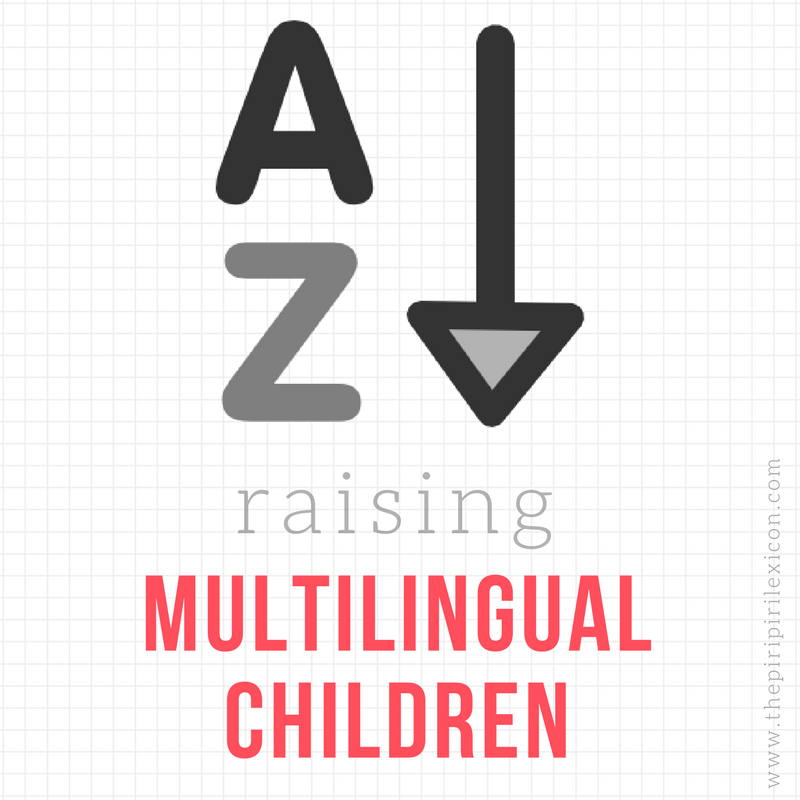 Becoming multilingual therefore involves being able to categorise people in language boxes and as many toddlers and young children know, moving around those boxes is a big no-no. We have found explaining what language is spoken by whom very important and necessary for our little introvert.